It had been more than a month since the draft, and Brian Browning had moved on with his life. He was taking summer classes and working on the beach in Pensacola shuffling beach chairs. Photo special to the Journal. The 2013 Homewood Patriots baseball team finished its season at 32-9, falling in the quarterfinals to eventual state champion Hartselle. Six players from that team continued their careers in college, Brian Browning among them. Though he got in some time in college ball, he had not emerged as a star and had just about given up on his dream to go pro. Then, on July 14, the phone rang. When Browning was a student at Homewood, he had coaches, including pitching coach Keith Brown, who taught him to never give up. “He’d always tell me to never lose confidence and he reminded me that I could do everything that I put my mind to. He was one of my main sources of encouragement at Homewood,” Browning said. 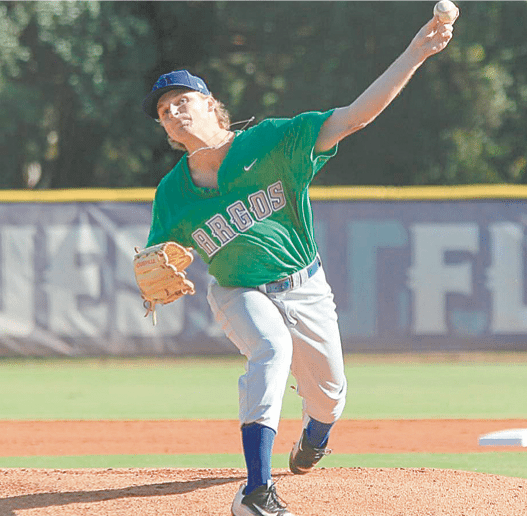 With help from Brown and coach Doug Gann, Browning went on to pitch for two years at Northwest Florida State Junior College. He transferred to Ole Miss, as was the plan, but the Rebels roster was crowded with 16 pitchers, including three freshmen All-Americans. Striving to keep the dream alive, he opted to finish his collegiate career at the University of West Florida. Last season, Browning compiled a 4-3 record in work as a starter and middle reliever. He had a 3.78 ERA and a .234 opponent batting average in 50 innings pitched. But then his senior season had come and gone, and so had the Major League Baseball draft. Browning said he talked to Colorado Rockies scout Zack Zulli once during the season. It had been more than a month since the draft, and Browning had moved on with his life. He was taking summer classes and working on the beach in Pensacola shuffling beach chairs. “I was planning on just working and getting my degree,” he said. “I was telling myself that I would focus on school and work instead of baseball. I didn’t think there was a chance, at this point, that I was going to get called to play pro ball. His debut for the Boise Hawks, the A-Short Season affiliate of the Colorado Rockies, came against the Everett (Washington) AquaSox on July 21. Browning faced five batters over 0.2 innings. He allowed a hit, a run and two walks. The Hawks’ season continues through Sept. 3.